Waterlooville, Portsmouth, Chichester, Hampshire & West Sussex. Get your free online double glazing quote today for windows, doors & conservatories. At Aperture Windows, we provide stunning uPVC flush casement windows in Fareham, Chichester, Southsea, Denmead, Cowplain, Portsmouth, Gosport, Southampton, and the Hampshire area. You can get the benefit of our FENSA-accredited installation of high-quality double glazing products for your home improvement needs. If you would like to learn more about how we can help renovate your home, why not read the reviews of our old customers on Checkatrade? 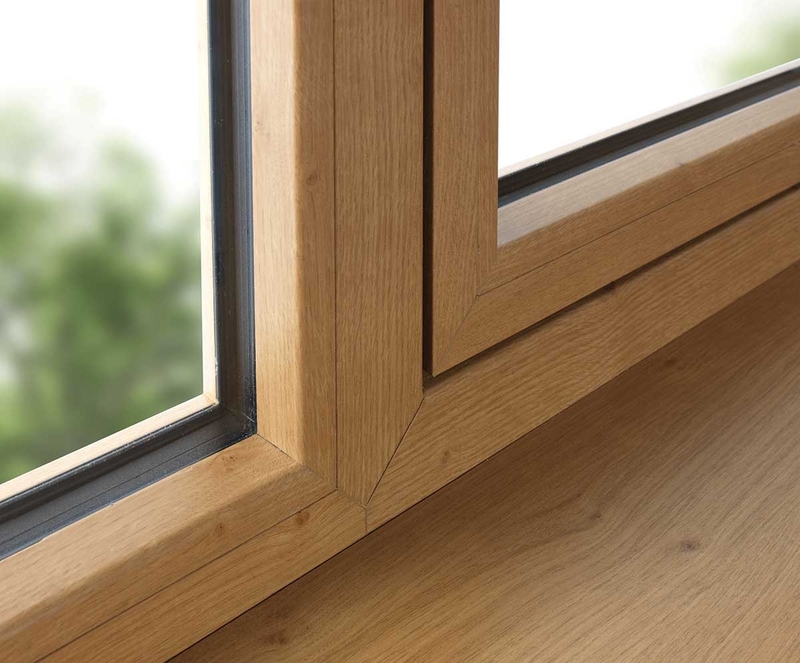 Find out what makes us the perfect choice for your flush casement windows in Hampshire. Why Choose Flush Casement Windows from Aperture? We bring you uPVC flush casement windows from market-leading manufacturers, REHAU & Eurocell. With this name, you can expect windows that give you the finest performance because of the technological innovations they offer. Additionally, you get stylish windows that will give your Hampshire home an instant facelift that can be tailored to your budget. These premium flush sash windows have been crafted from materials of the finest quality, giving you longer-lasting service. They are also exceptionally secure, thermally efficient, and weatherproof. However, the best part about them is that they are made to look exactly like solid timber windows. 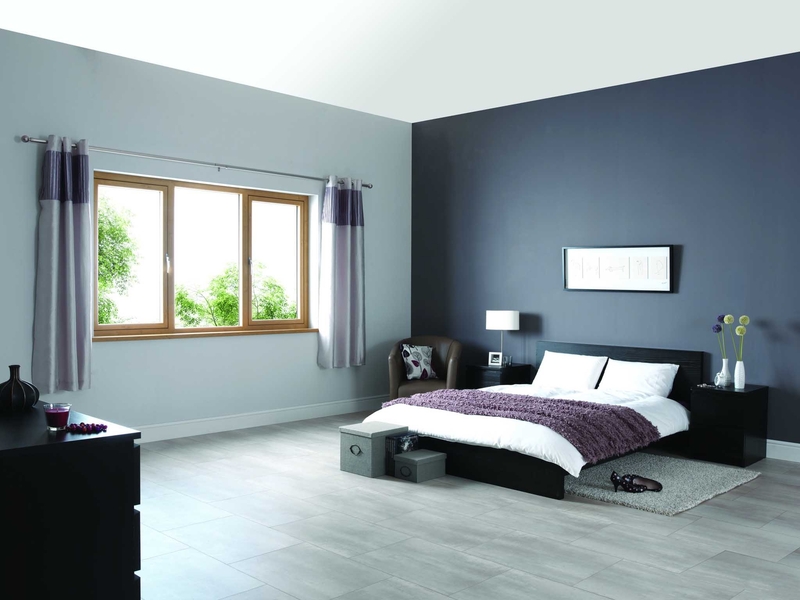 Our uPVC flush casement windows are from the Nordic Design Plus range. These windows were developed for the Scandinavian market originally. They come with a 120mm frame depth which incorporates the self-reinforced RAU-FIPRO® material. This material gives your flush casement windows an inordinate amount of strength and thermal retention. Additionally, you can choose from a range of stunning RAL colours to create windows that match your home and décor perfectly. As a result, you not only get a home that is secure and warm, but also beautiful to look at. Gorgeous Flush Sash Windows to warn up your Hampshire home. Our double glazed uPVC flush casement windows are designed to give your home improved insulation. These windows use a combination of a broken up profile and the advanced RAU-FIPRO® material to give you a high Windows Energy Rating. Their 67mm sash depth also allows you a choice of double or triple glazing. RAU-FIPRO® is a material that uses the technology behind fibre composites used in aircraft construction and Formula 1 racing vehicles. Because of this, it is immensely strong and durable, yet extremely light. As a result, you get inordinately strong windows even without steel reinforcements. 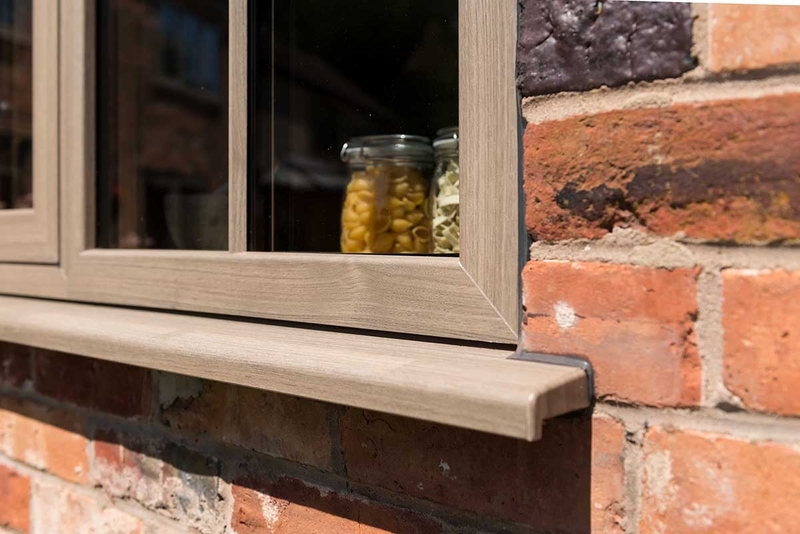 Our uPVC flush casement windows have sashes that sit flush with the frame, giving you the sleek look of wooden joinery. 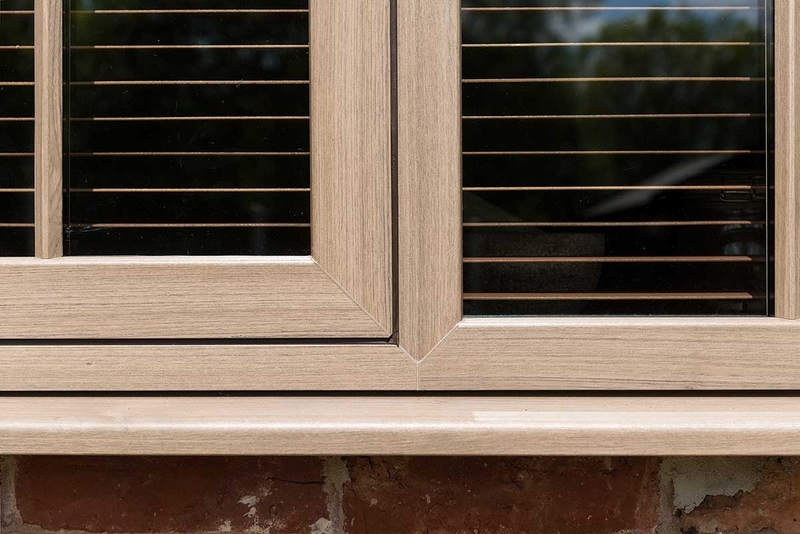 Combine this look with the 19 woodgrain foils we offer, and you get flush sash windows that look indistinguishable from timber ones or choose from our brilliant colour choice. The resilient profile of our flush casement windows is so resilient that it doesn’t need much care. These windows are not easy to damage or scratch. They are also quite resistant to the effects of the weather. Just wipe them with a damp cloth and your windows will look as good as new. At Aperture Windows, we are dedicated to providing you with windows of the highest quality. We even offer a 10-year performance guarantee, making our competitive flush casement windows prices even more attractive. Try out our online quotation tool to get an estimate of your flush casement window costs. Enter your requirements into this tool and it will generate your uPVC flush casement window quote almost instantly. Alternatively, you can contact us to learn more about our windows and other products. We will be happy to provide you with the answers you need as well as your bespoke flush sash window prices. With our uPVC flush casement windows, you get all the features you need to make your Hampshire home more efficient and better-performing. These windows are capable of giving you an ‘A’ rating with their heat efficient profile. They are also very strong, giving you longer-lasting durability and better security. When you get your uPVC flush casement windows installed, we fit them with weather-tight seals and concealed hardware. These window systems also permit the use of mushroom espagnolette fittings that give you flexible openings and night ventilation options. These windows are therefore able to give you comprehensive protection from intruders while allowing the desired ventilation. In fact, they also protect you from cold draughts, rainwater seepage, and even noise from the outside. As a result, your home becomes a restful haven for you. Our uPVC flush casement windows can easily be tailored to match your needs and aesthetics. These windows make excellent replacements for timber windows with their wooden joinery appearance. You can also opt for woodgrain foils to complete the look. We offer Rosewood, Golden Oak, and Mahogany as standard wood foils, but you can also choose from our 19 special finishes. If you don’t want a wooden colour, we also offer a range of 150 striking RAL colours from the REHAU Acryl II colouring system to choose from. As a result, your windows can match your décor or the exterior colour scheme of your home. Additionally, you also get a spread of window furniture to complete your home’s brand-new look! For more information on our flush casement windows and to arrange an appointment, contact us today. 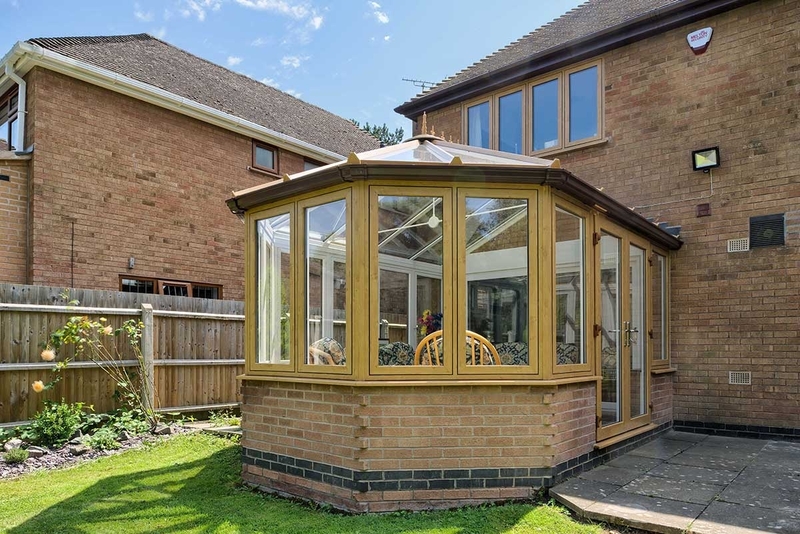 Aperture Windows and Doors are professional double glazing suppliers, surveyors & installers in Waterlooville, Fareham, Chichester, Cowplain, Denmead, Southsea, Portsmouth, Southampton & throughout Hampshire. We offer free online double glazing quotes. Find double glazing prices for uPVC windows, uPVC doors, composite doors, bi-fold doors, conservatories, conservatory roofs and roof lanterns. Start your online quote today!